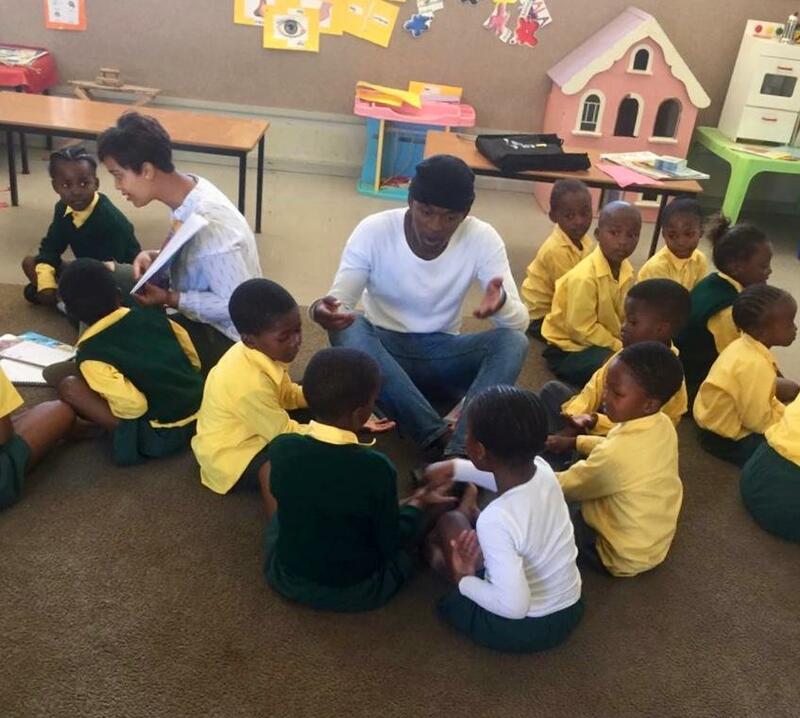 Our Year Beyond volunteers started at Sophakama Primary School on 11 February, after their introductory visit on 7 February. 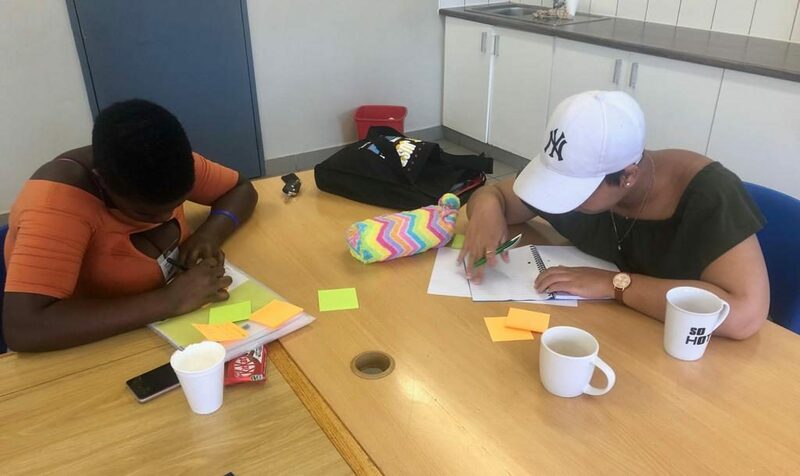 Their first morning was spent preparing for sessions with learners that afternoon, discussing time management and possible challenges that they may have to overcome in their first few days. The focus for the first day or two was on each volunteer getting to know specific learners. 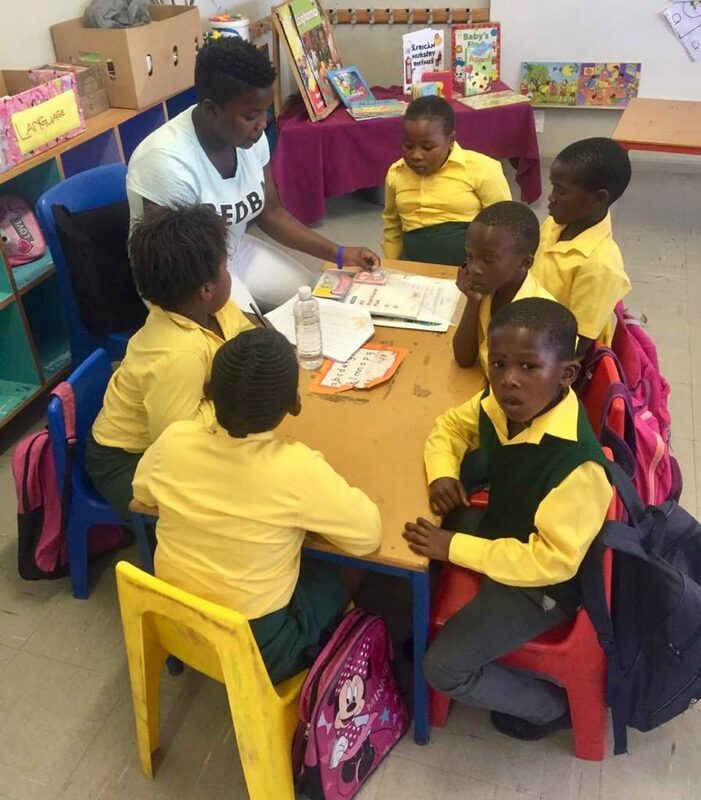 Plenty of fun was had, as Anathi, Andisa, Nwabisa, Sinazo and Tameryn met learners during class visits in the morning and during the after-school sessions. 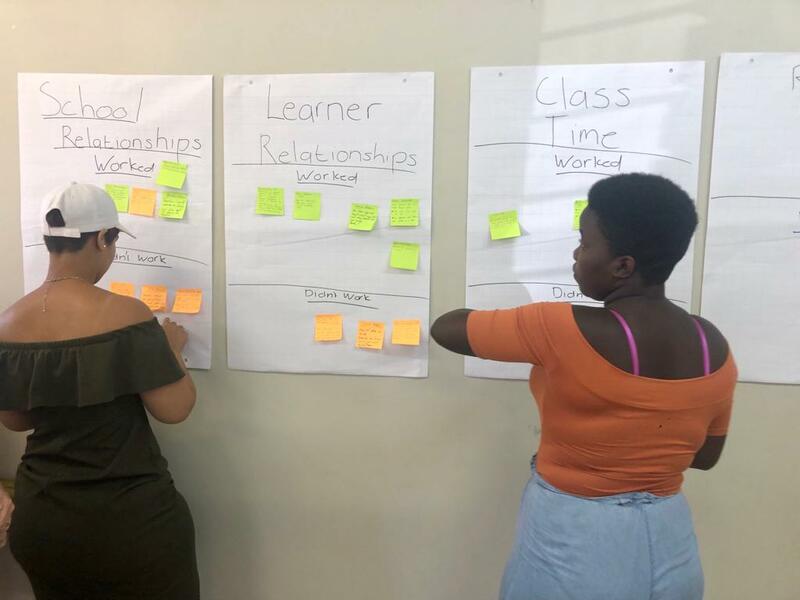 Morning classroom visits are spent on paired and shared reading with learners, followed by a structured programme for the afternoon sessions, encompassing literacy and numeracy. The first self-development session on Friday morning (15 February) kept the group enthusiastic and engaged. We received very positive feedback during this session from teachers who had been involved with their class visits. It was great to see these YEBO volunteers fitting in at the school so quickly! Some topics covered during the session were School relationships, Learner relationships, Class time; and Games. Volunteers were asked to reflect on these topics, discuss what worked well for each person and how any issues could be improved. Practical solutions were discussed and introduced. We look forward to watching these volunteers progress at the school! ← 2019 STARTS FOR YEBO VOLUNTEERS AT SOPHAKAMA!